Most people have heard the deep, powerful hooting of an owl late at night. These impressive birds are generally nocturnal, and their camouflaged feathers commonly allow them to go unseen by prey animals and bird-watchers alike. Those who are lucky enough to spot one of the elusive owls are often surprised by just how large they can get! While a large portion of the hefty appearance of these 5 species of owls can be attributed to their fluffy feathers, make no mistake–these incredible raptors can grow to amazing sizes. Let’s learn a little bit about 5 of the largest species of owls in the world, and what makes each of them special. The Great Horned Owl is the most common owl in the Americas, and gets its name from its iconic feathered “horns” that extend from the top of its head. These impressive birds are primarily monogamous, and share parental duties such as incubating eggs and hunting for food to sustain both parents during the incubation period. This versatile hunter’s prey ranges from small critters like scorpions and rodents to larger birds, including other raptors. The Great Horned Owl is even powerful enough to bring down prey much larger than itself, though most of the time this isn’t necessary. 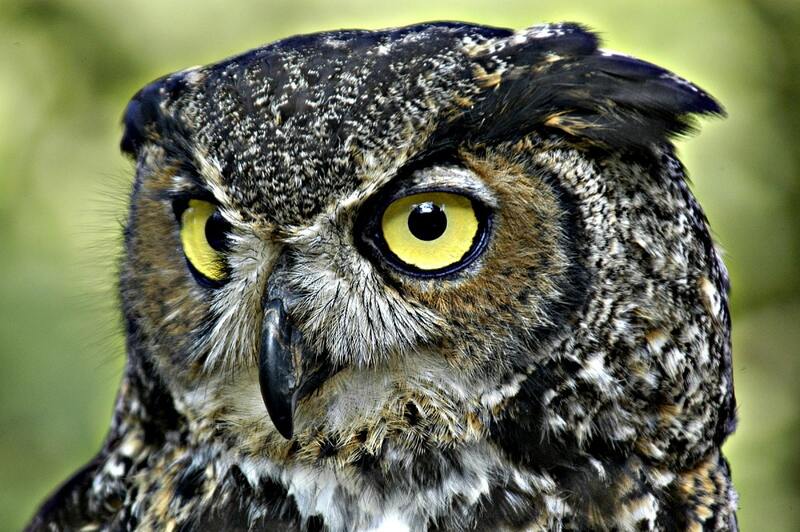 Like many other owls, the Great Horned Owl swallows its prey whole. It later regurgitates a pellet each day comprised of the parts it cannot digest, such as bones and hair. These pellets usually litter the ground beneath the owl’s favorite perch. This owl’s beautiful coat of feathers is adapted for warmth and camouflage, helping it blend into its frigid habitat to avoid startling its prey before it finds the perfect moment to strike. The Snowy Owl has a distinct tuft of feathers surrounding its beak, which helps it feel nearby objects more effectively. Additional thick tufts of feathers cover the bird’s feet, serving both to keep it warm and to act as snowshoes, which help it to avoid sinking into the snow. 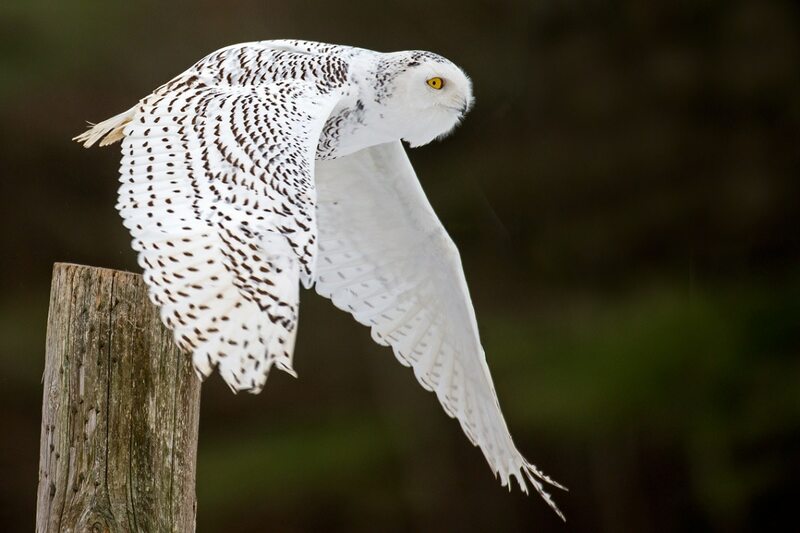 The Snowy Owl is thought to be one of the most agile owls, and is able to pluck small birds from their flight path mid-air. Lemmings make up a major portion of the Snowy Owl’s diet, and are such an key source of food that the lemming population may determine whether or not the owls nest and reproduce that year. In contrast to many other owl species, the Snowy Owl is more on the diurnal side. It rests at night, and often hunts its prey during the daytime. This adept hunter sports a beautiful coat of grey feathers and the largest facial disc of any known bird. This facial disc is a round, concave formation of feathers that directs sound more effectively to the owl’s ears. The Great Grey Owl’s superb hearing enables it to locate prey up to two feet deep in the snow. This owl’s prey consists largely of rodents and small birds, though it has been known to eat larger prey such as smaller raptors and larger mammals such as rabbits. 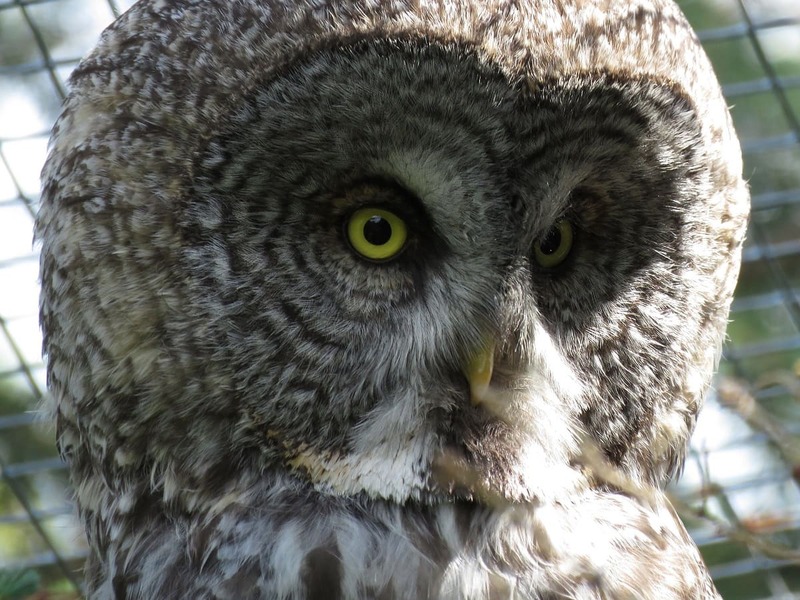 While largely nocturnal, Great Grey Owls also hunt throughout the daytime. Swamplands and moist forests appeal more to this bird than other habitats do, but they are willing to inhabit other environments, especially during migration. Great Grey Owls do not build their own nests. They prefer to use old nests build by Ravens or other raptors, and will often reuse the same nests for several years. These large, adaptable birds can be found in a wide variety of habitats. They’re even known to make their home in urban areas like city parks as long as there are adequate nesting spots and prey to hunt. With no natural predators in the wild and only human interference to fear, Eurasian Eagle Owls can live to the ripe old age of 20 years in its natural habitat. Like most owls, this feathered hunter is nocturnal and plays an important part in keeping the populations of prey animals in check. 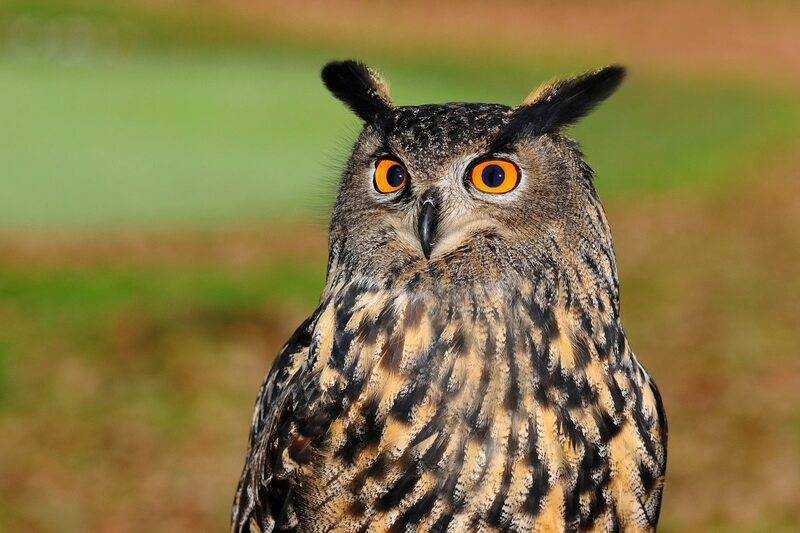 The Eurasian Eagle Owl enjoys a flexible diet of mammals, birds, fish, insects, and reptiles. This large predator has even been known to take down young deer for its dinner. Each individual member of the Eurasian Eagle Owl population has its own unique set of vocalizations, and you can determine which owl is calling by the distinct sound of its voice. The Blakiston’s Fish Owl is the largest owl in the world. This majestic sub-variety of eagle owl is found only in a few specific areas of the world, and conservation efforts must be made in order to preserve its habitat. Deforestation and excessive fishing of the owl’s preferred food have already impacted the population enough to place it on the endangered species list. 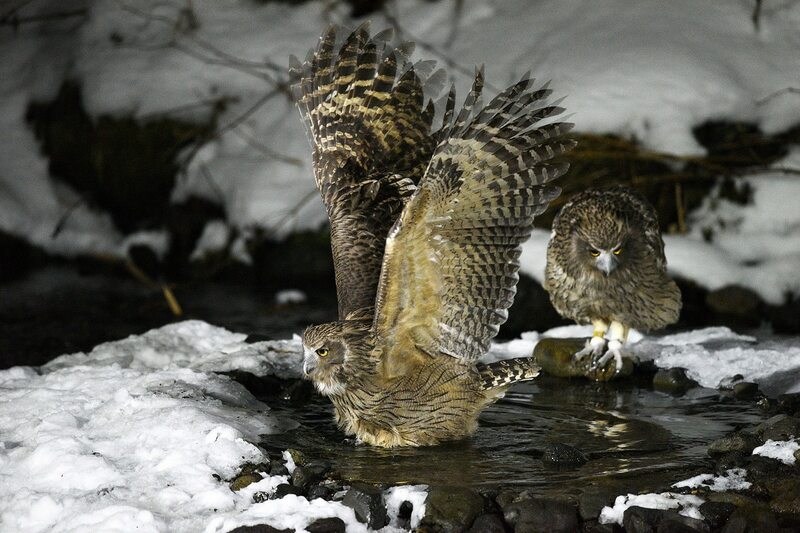 The Blakiston’s Fish Owl requires riparian forests with old, dead trees in order to nest, hunt, and thrive. On top of being the largest owl in the world, this beautiful owl is also one of the rarest of all birds. Most owls have soft, downy feathers on their wings in order to silently sneak up on prey. Since the Blakiston’s Fish Owl hunts primarily fish, they do not have the usual downy layer to muffle the beating of their wings.